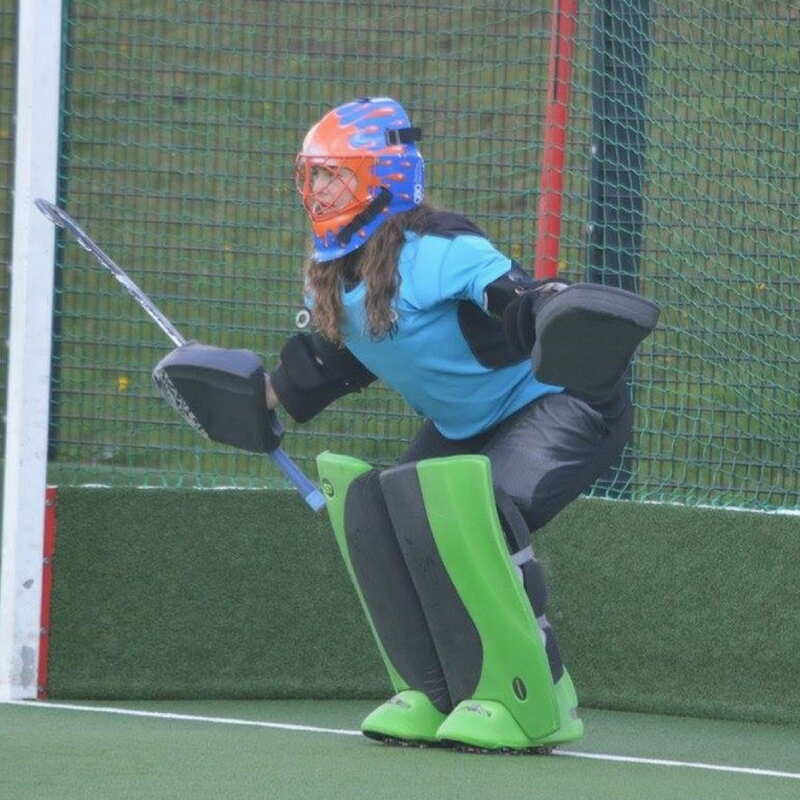 Hi, I’m Hannah Smith and I am the club captain for Womens Hockey at Plymouth Marjon University. I’m going to tell you a bit about why joining a sports team is the best decision you’ll make when at University, as well as our Varsity build up for THE most important event of the year. 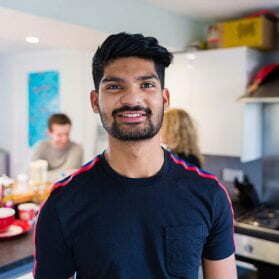 Joining a sports team is a great way to socialise and find friends, as well as get out of the essay ‘bubble’ and do something active. 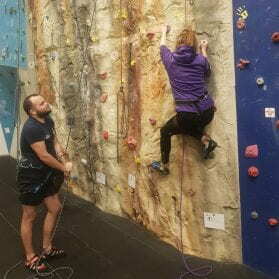 At Marjon we have a whole range of different sports for you to try, and I would definitely recommend giving something a go, especially something new. The sports facilities at Marjon are definitely a huge benefit to any sports fanatic or keen gym go-er. 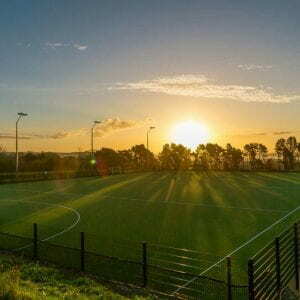 With 2 hockey astros, a 3G astro, 3 sports halls, gymnasium, tennis courts, climbing wall, swimming pool, grass pitches and a brand new refurbished gym, it is a huge asset to all our sports teams. 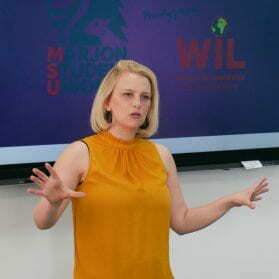 There is a huge range of opportunities to suit everyone. Sports Therapy students rack up the hours by giving massages to the teams and treatments in the Sports Therapy Clinic, also based in the sports centre. We also have a strength and conditioning lab with lots of cool equipment that athletes LOVE. Marjon University sports teams take part in BUCS (British Universities and Colleges Sport), which takes place on Wednesdays. Everyone emerges from their halls or the depths of their studies to support their University. We play in BUCS Western 3A league and have had some great results against top of the league teams, including beating Exeter University 4-3 last month in a tense game. For hockey, we train on Monday evenings with our coach, Matt Puttock. With the build up to Varsity, we are now training on Sundays 5-7 as well. 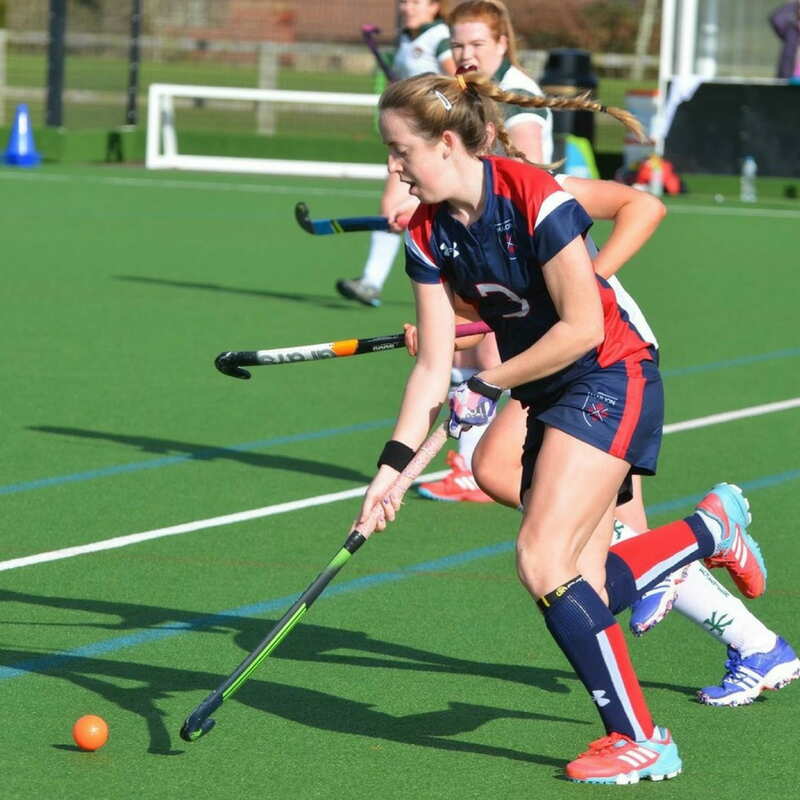 Varsity week this week is the week beginning 19th March, and involves all the sports teams from Marjon taking on local rivals, Plymouth University. If you are struggling to see how big this event is for sports students, think about the Olympics, and double it: it is the highlight of a sports person’s career. This year our squad features hockey scholar: Rhian Lewis. Rhian has 8 caps for Wales U18, starting at just 15 years of age, and 4 caps for U21. With a goal to go to the U21 Europeans at 19 years of age, she controls the back of the pitch managing to drive the ball forward with ease. 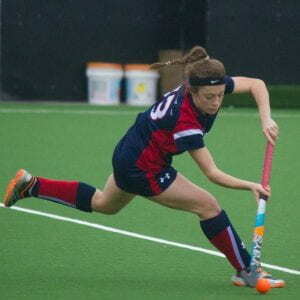 Following Varsity, Rhian will fly straight to Ireland to represent Wales u21 and also play against England u18. We are lucky enough to have a local club on our doorstep: Plymouth Marjon Hockey Club. 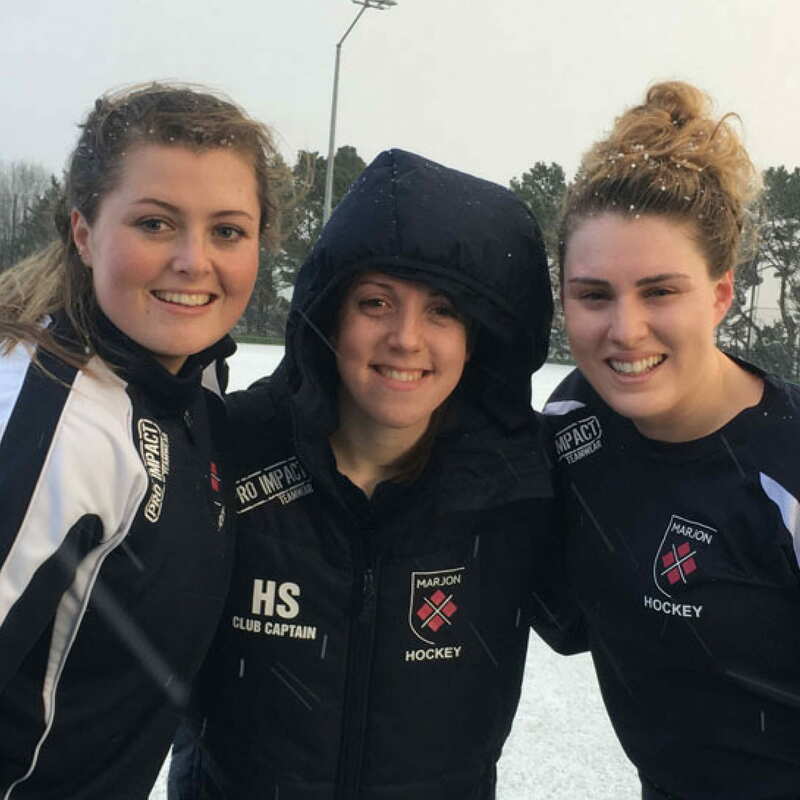 We have a number of our players also training and competing as part of the club, including playing for the 1XI in Premier League 1. 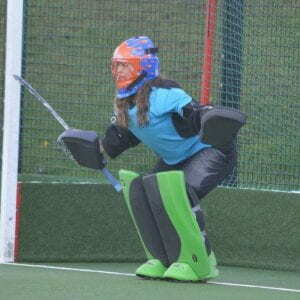 Captain, Hannah Mathias, is our goalkeeper and also represents PMHC 1s. This means I play hockey Monday, Tuesday, Wednesday, Saturday and Sunday, but I still manage to keep on top of my studies and compete in other sports so it is definitely manageable and don’t let the thought of ‘it will take up too much time’ stop you from joining a sports team… it is 100% worth it. Previous Are you the hero/ine?